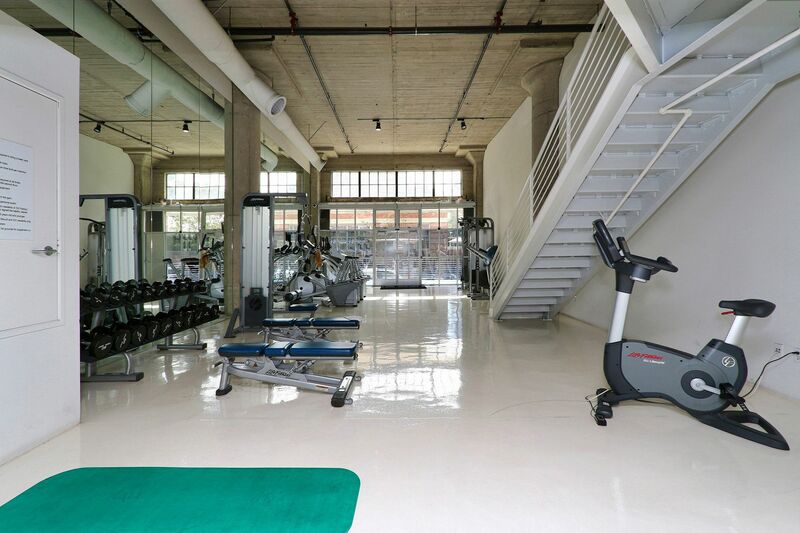 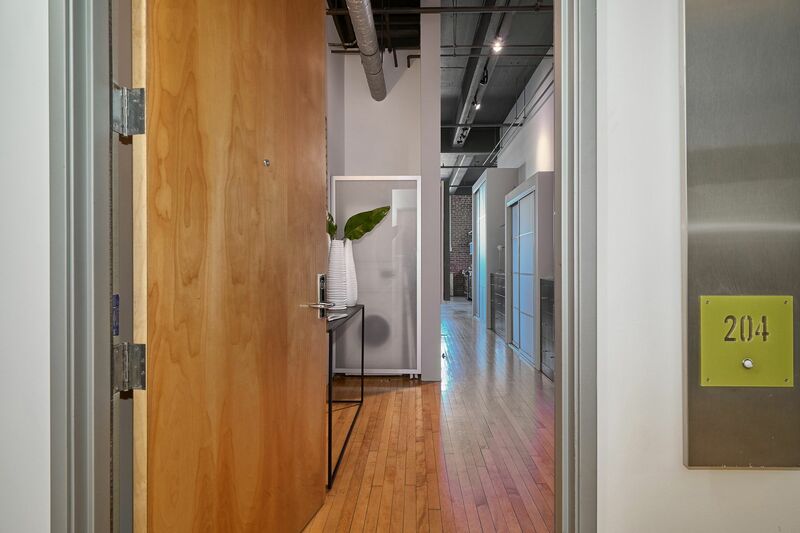 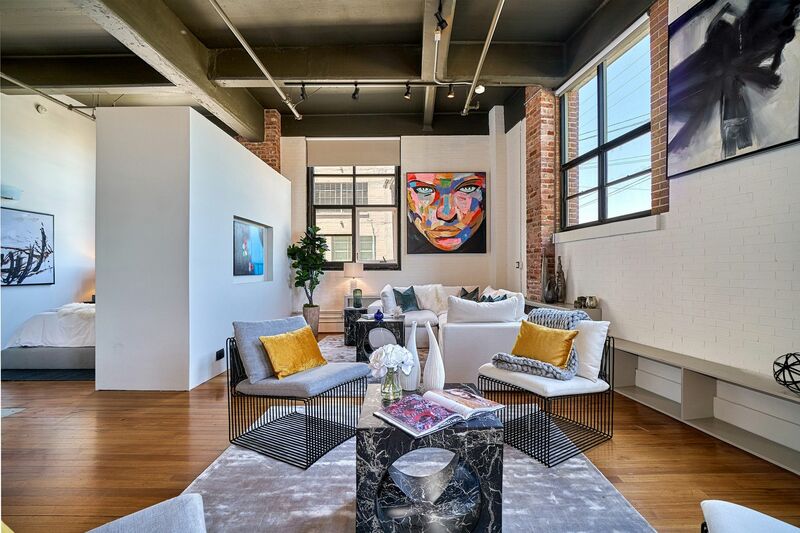 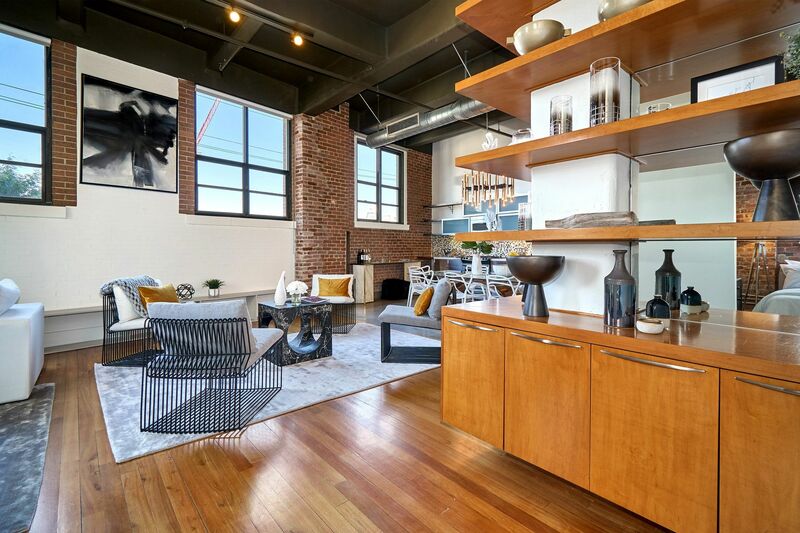 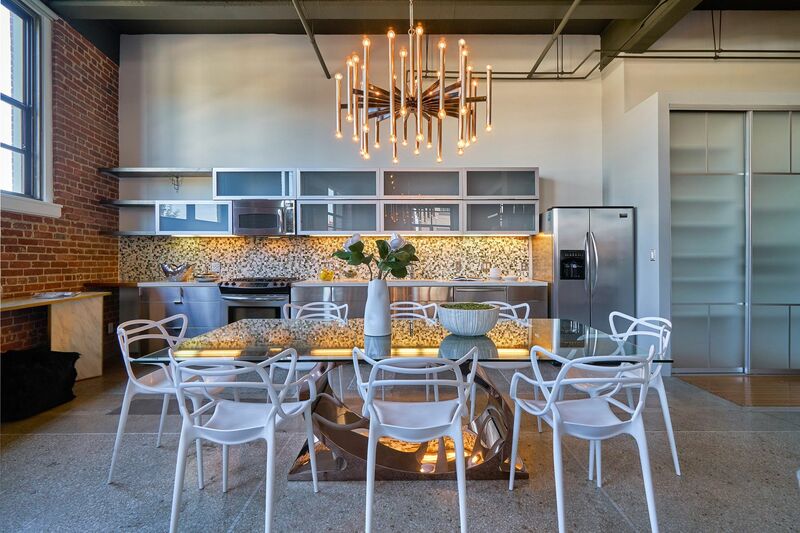 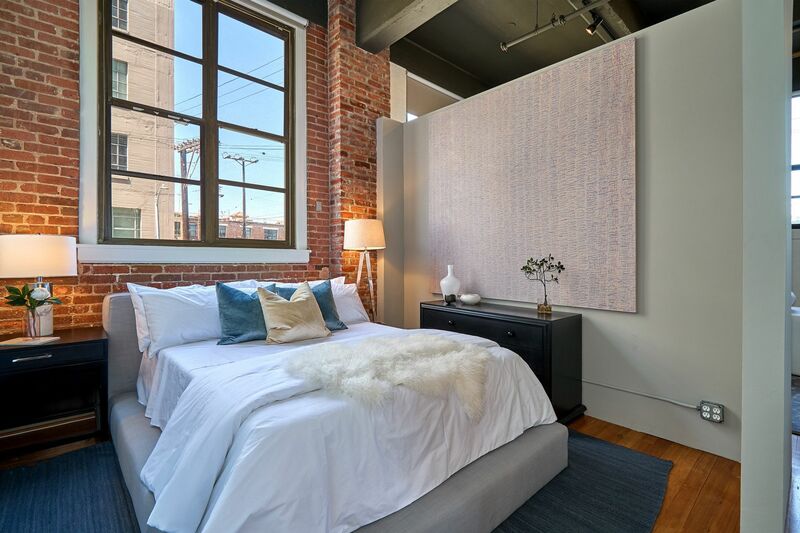 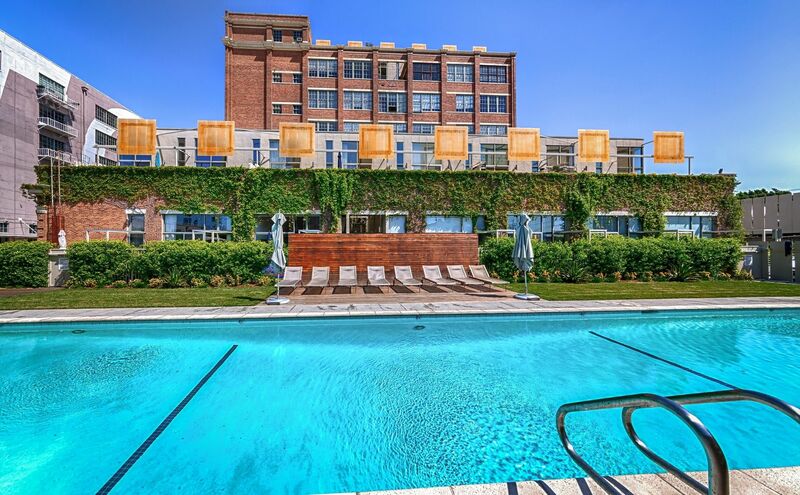 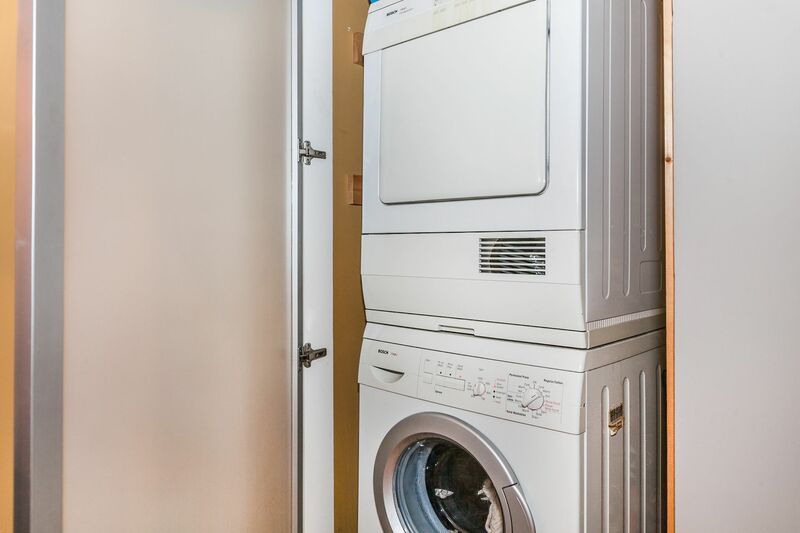 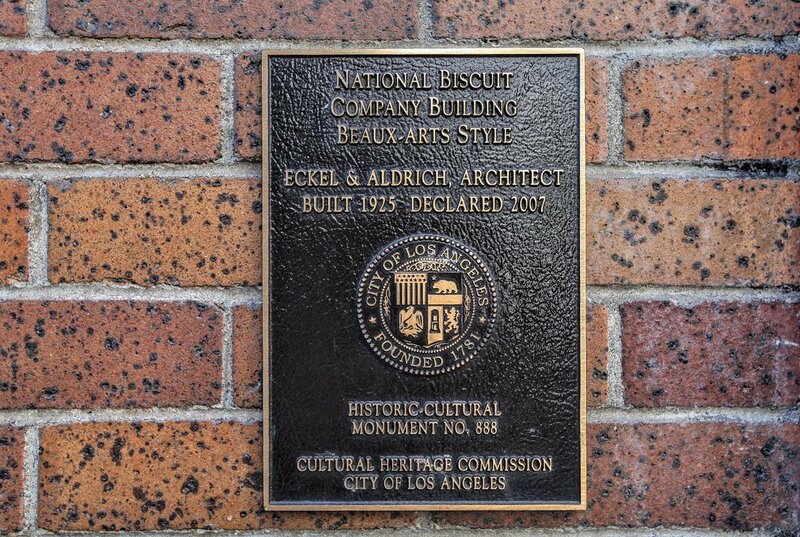 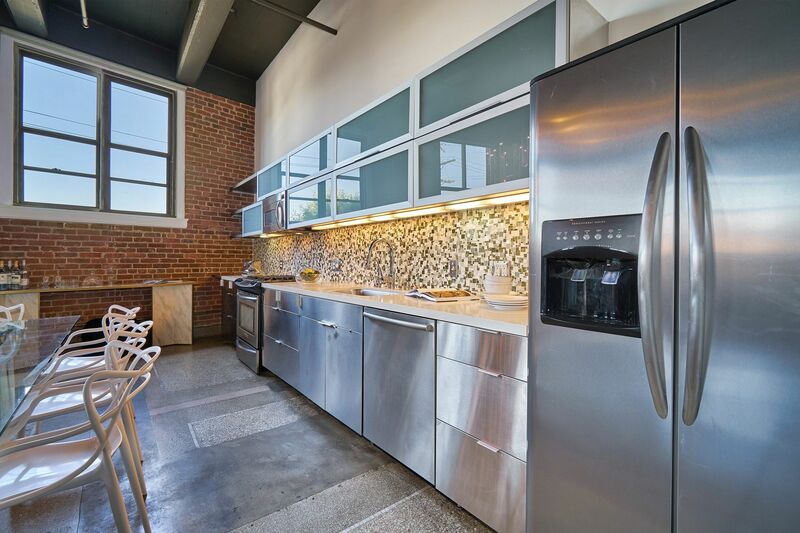 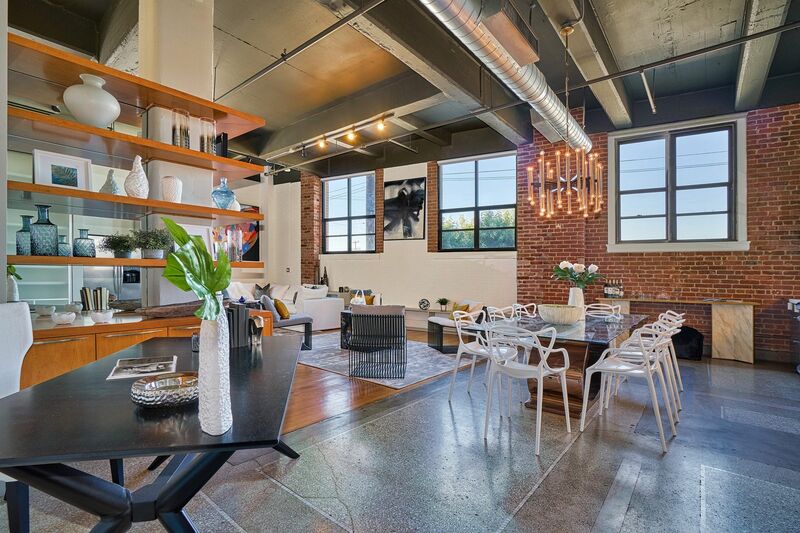 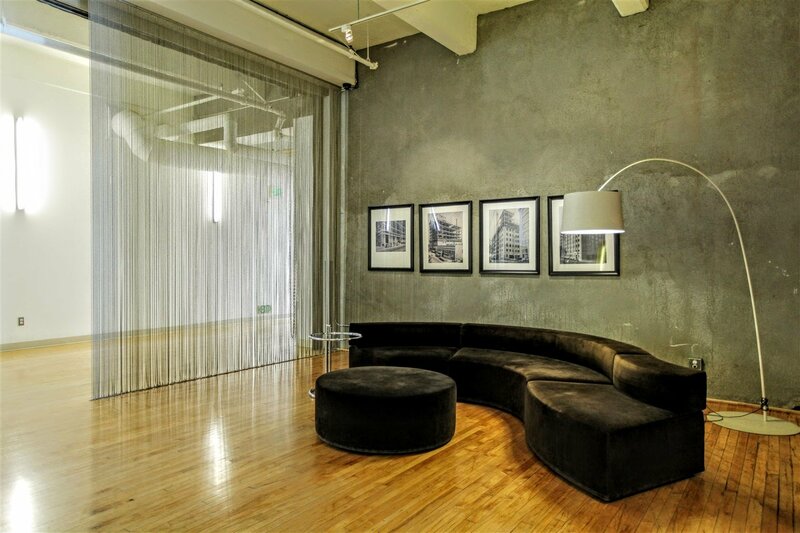 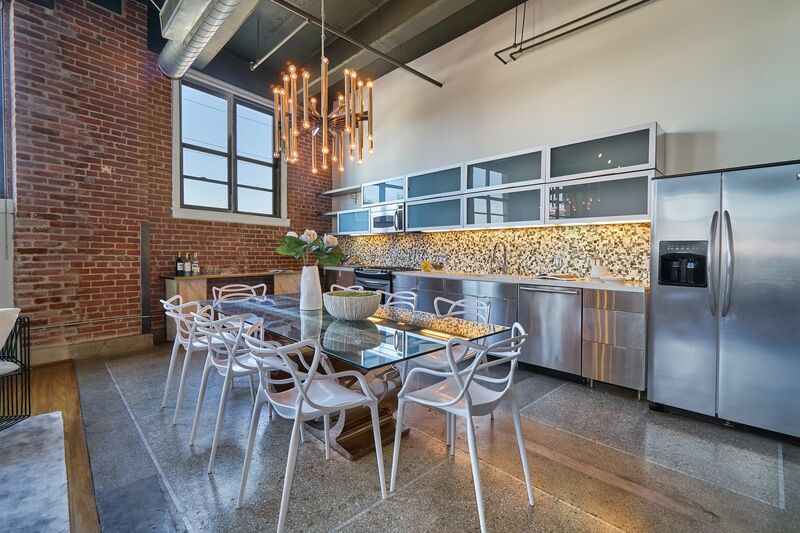 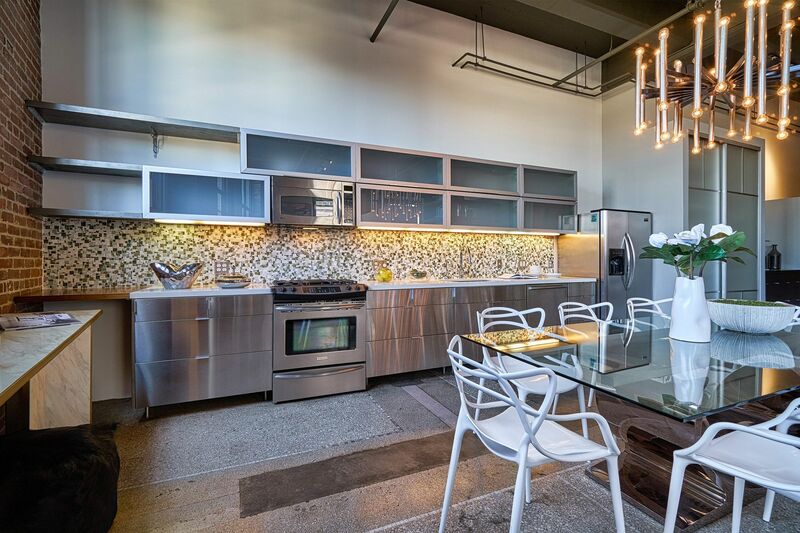 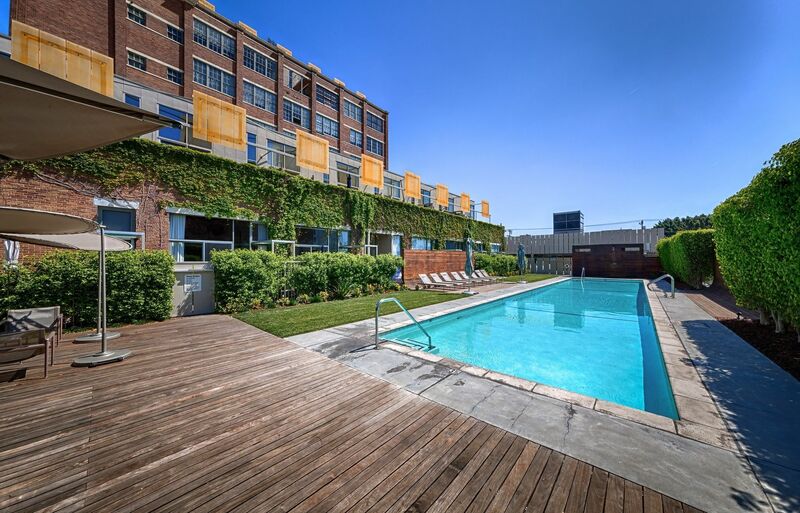 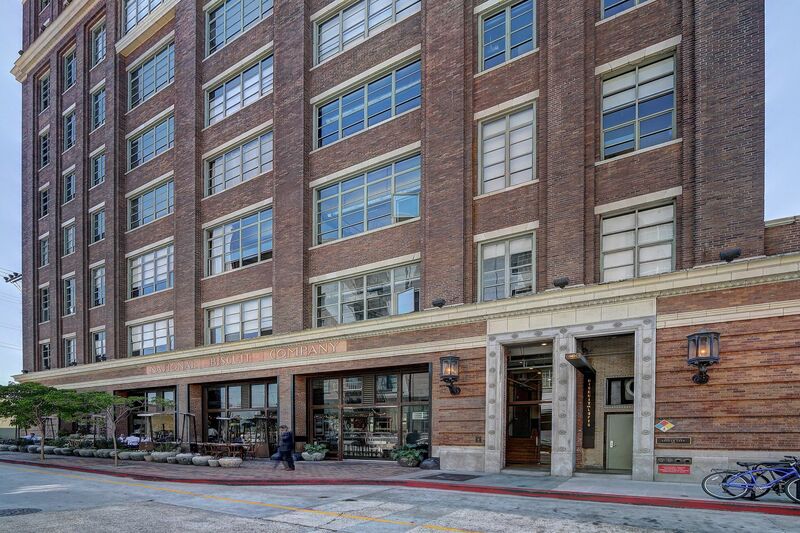 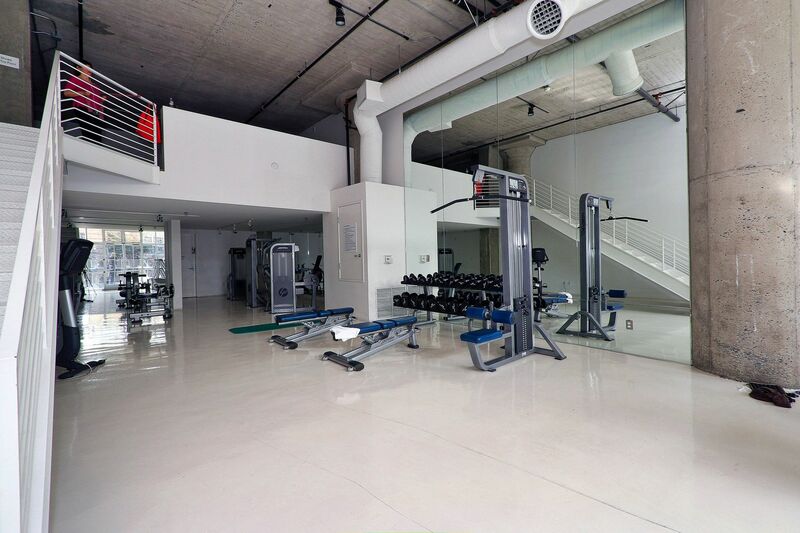 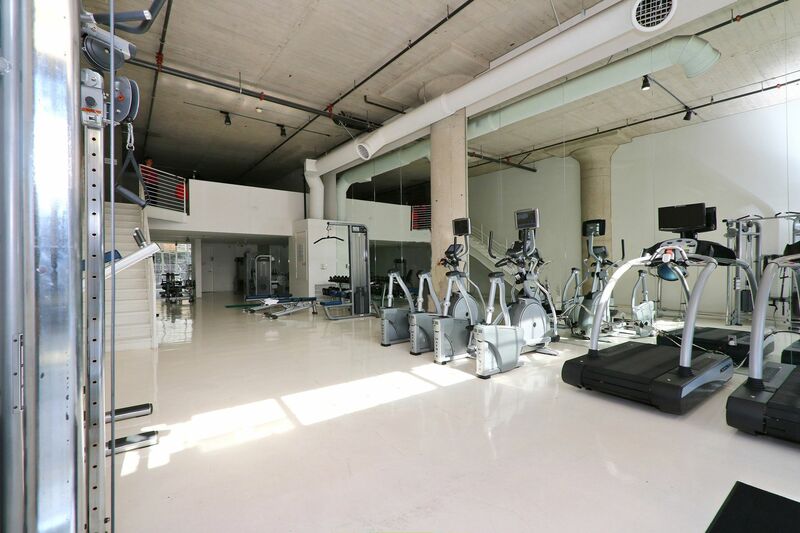 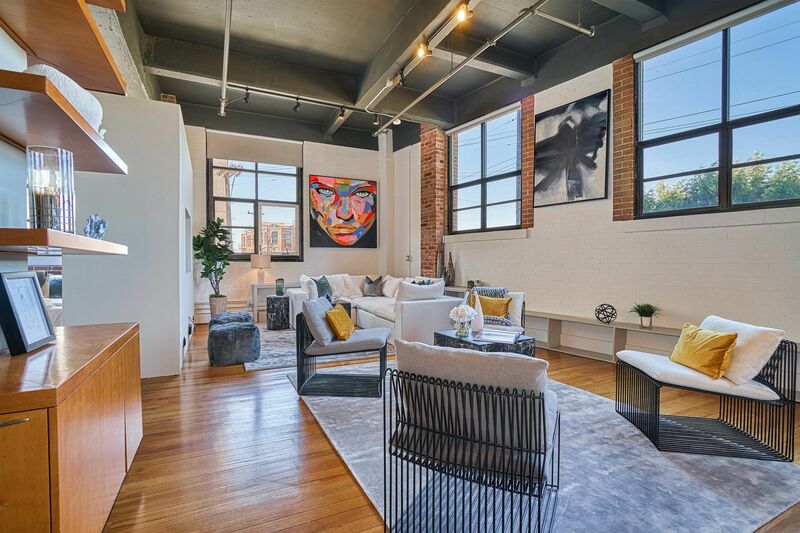 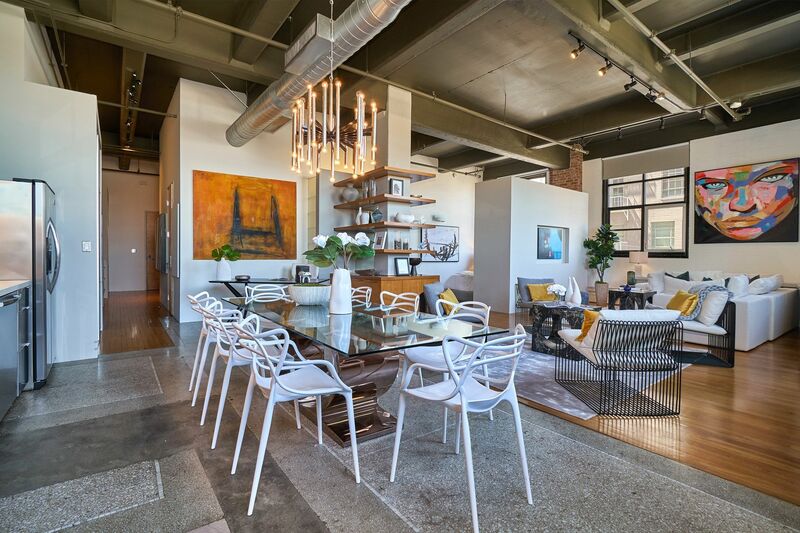 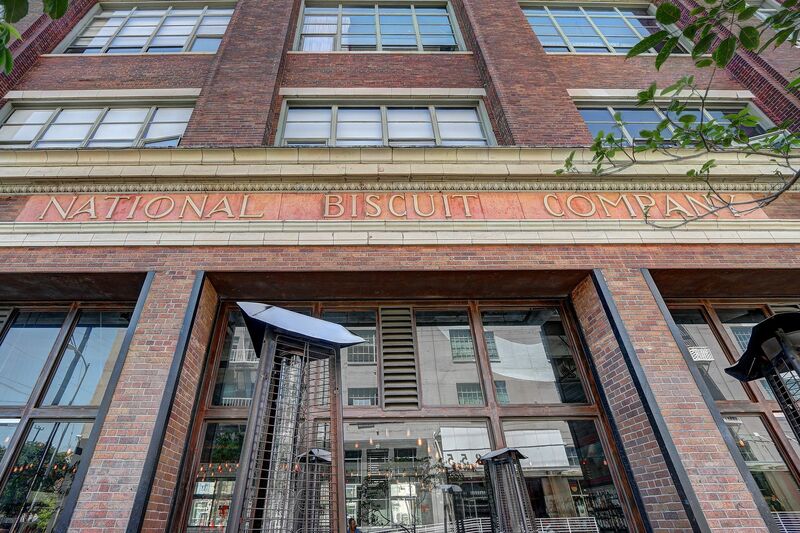 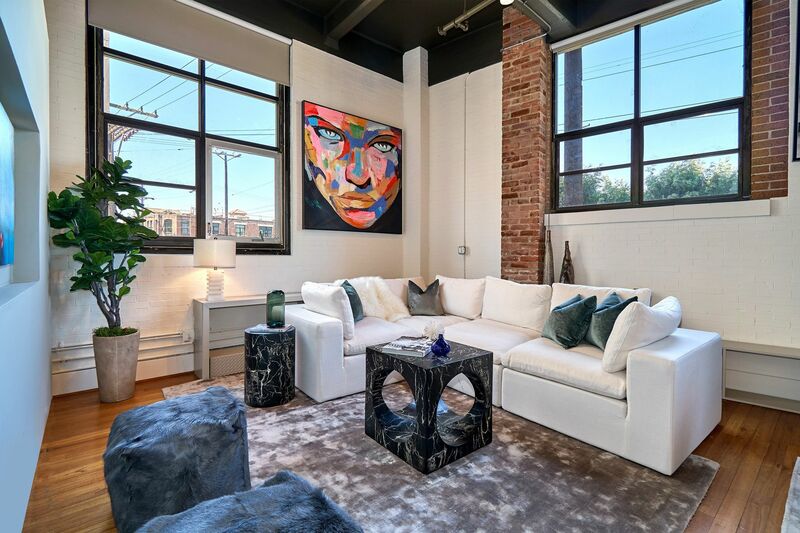 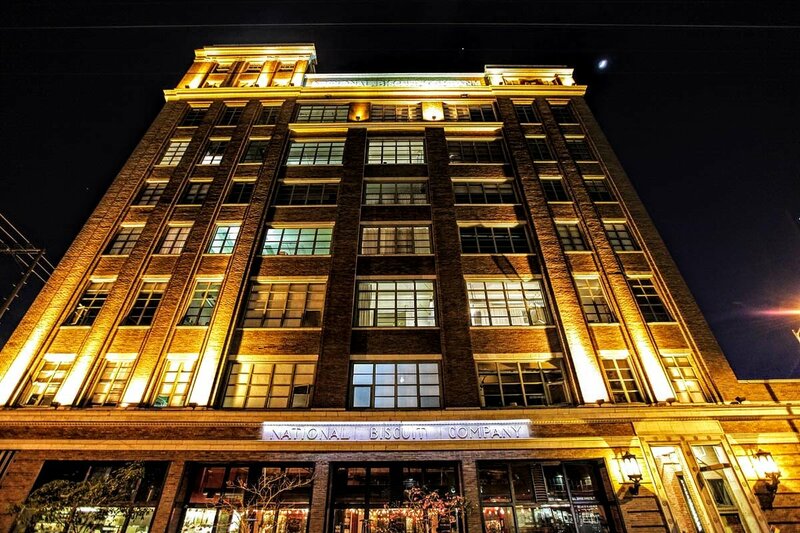 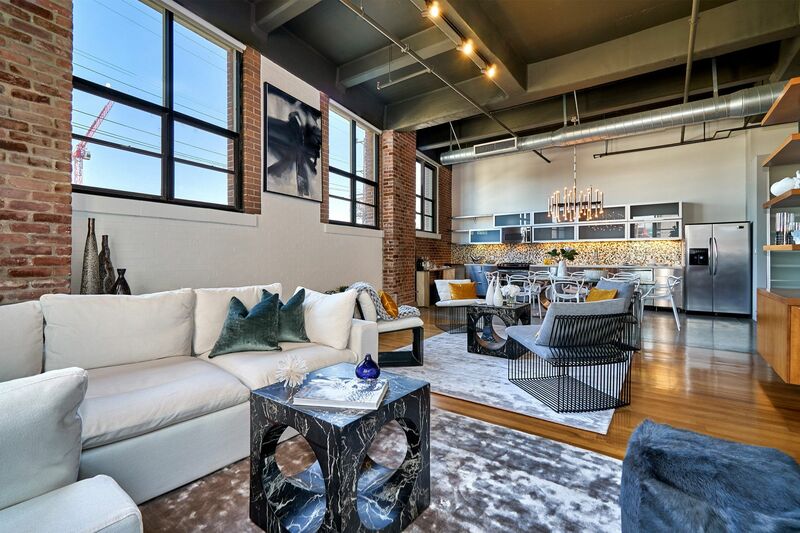 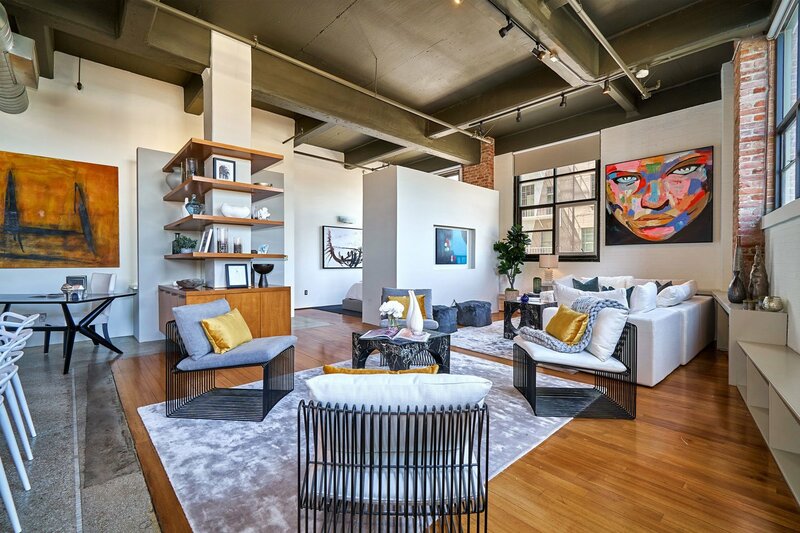 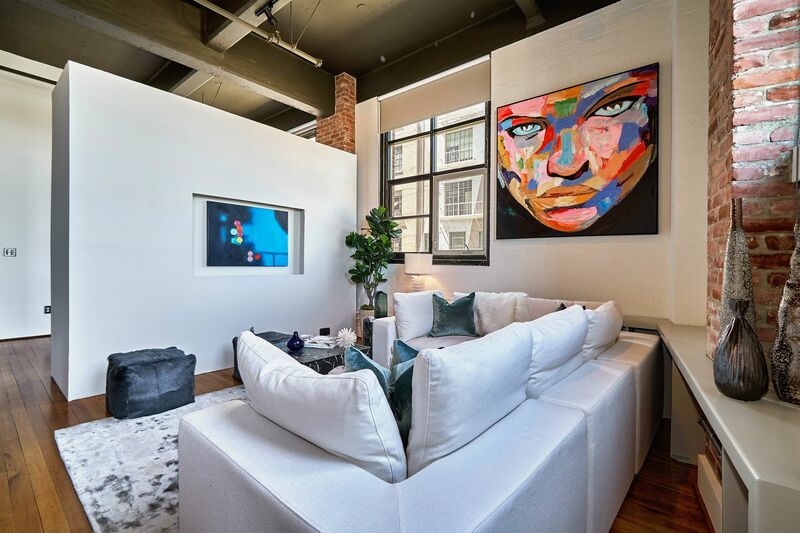 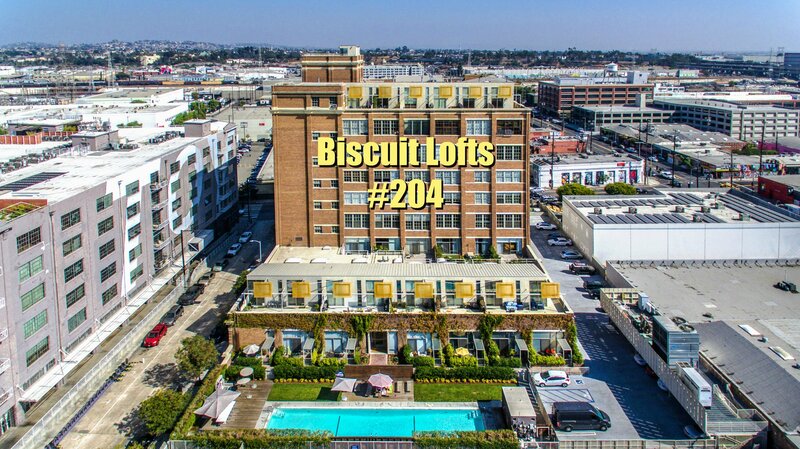 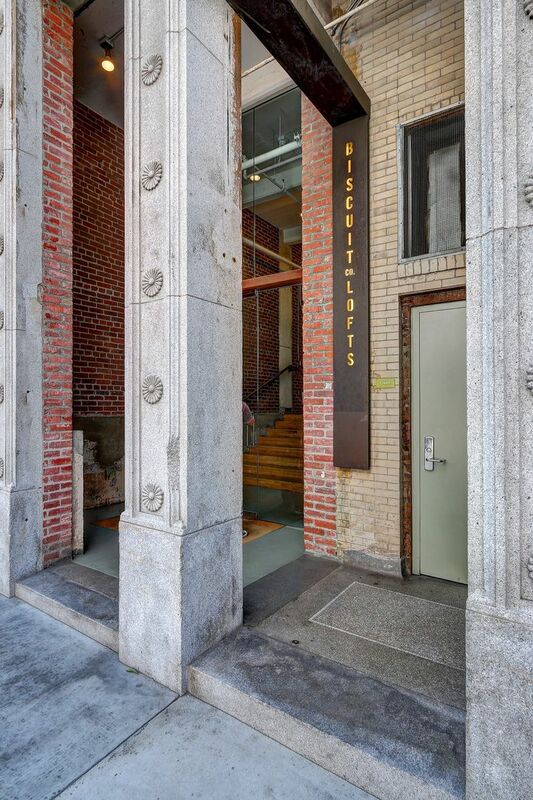 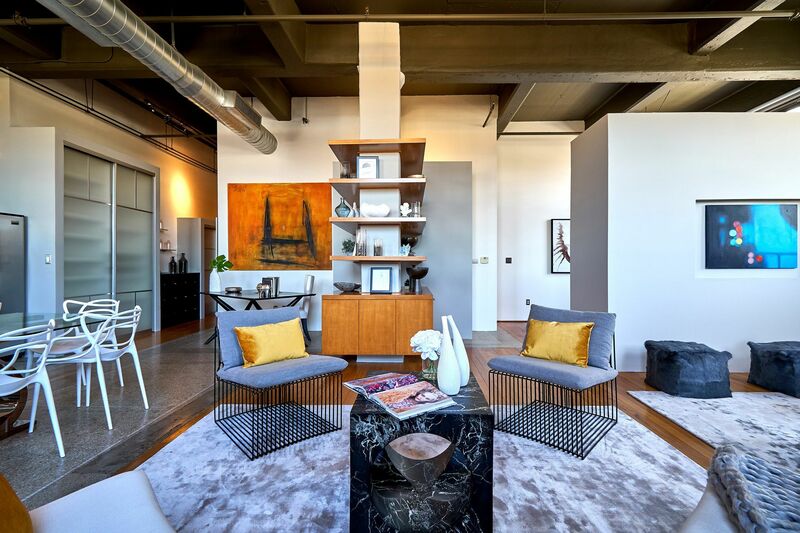 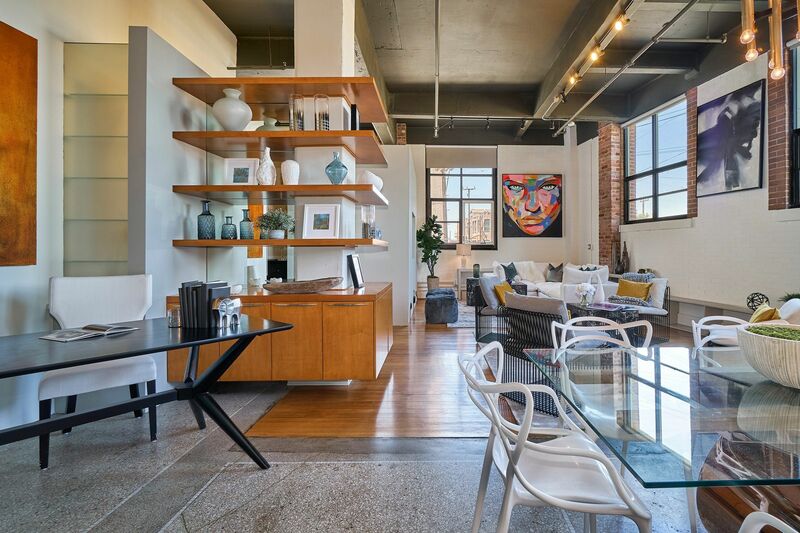 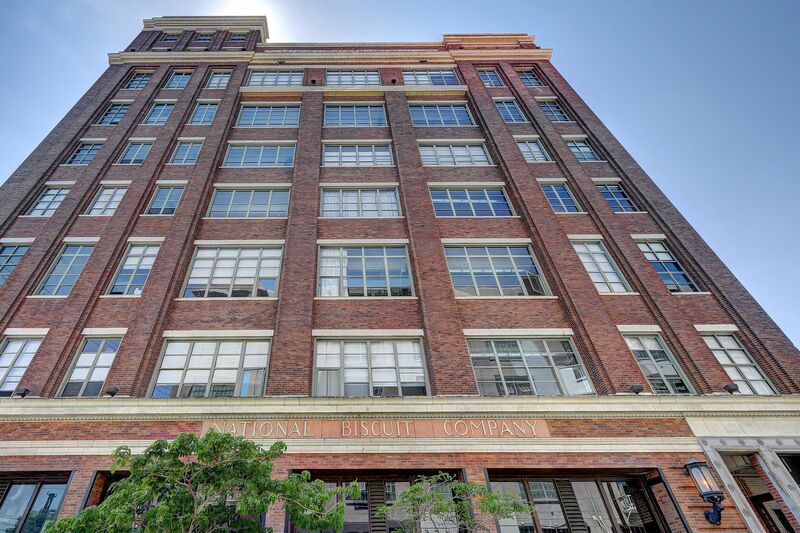 Located in the premiere building in the Arts District, this 2nd floor Biscuit Loft CORNER unit is sure to impress. 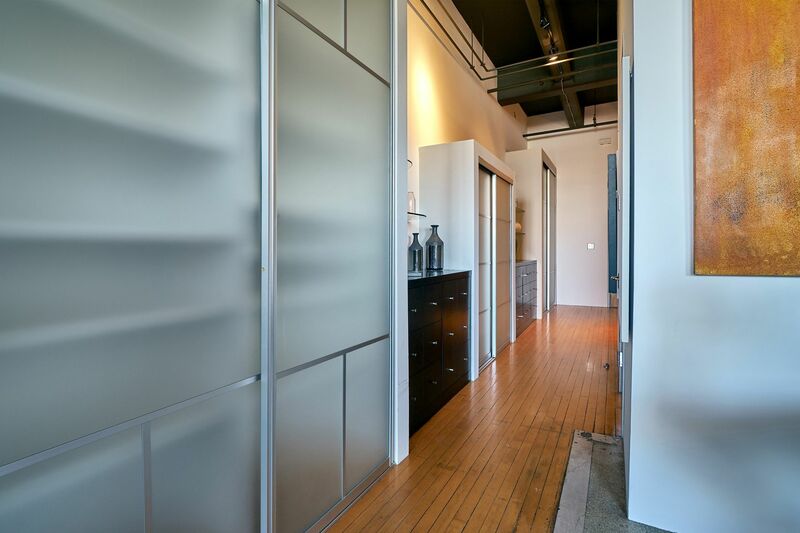 Cleverly designed entry hall with custom closets and half-bath leads you towards a fabulous open loft space with soaring ceilings. 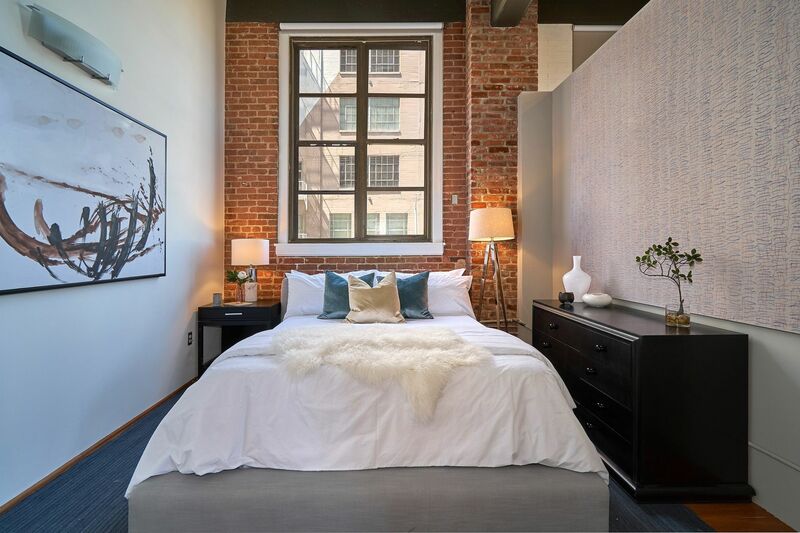 Elevated windows flood the unit with light, and provide privacy from the street. 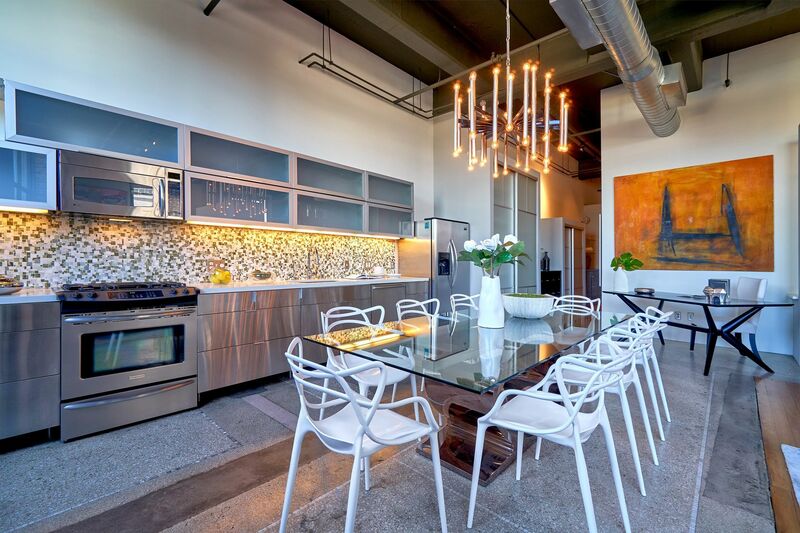 Custom built kitchen includes upgraded geometric stone back-splash, and high-end fixtures. 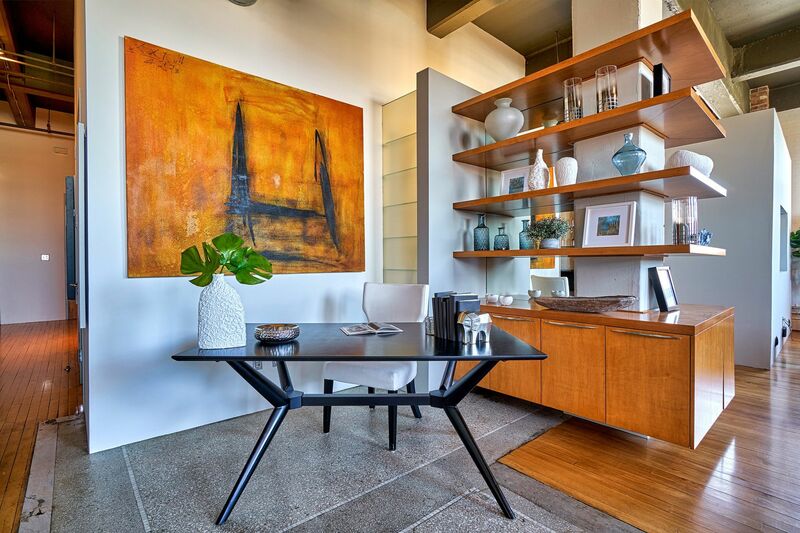 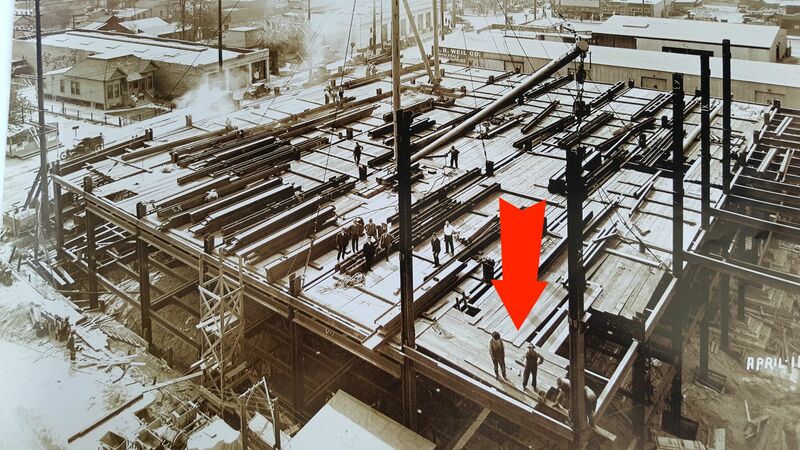 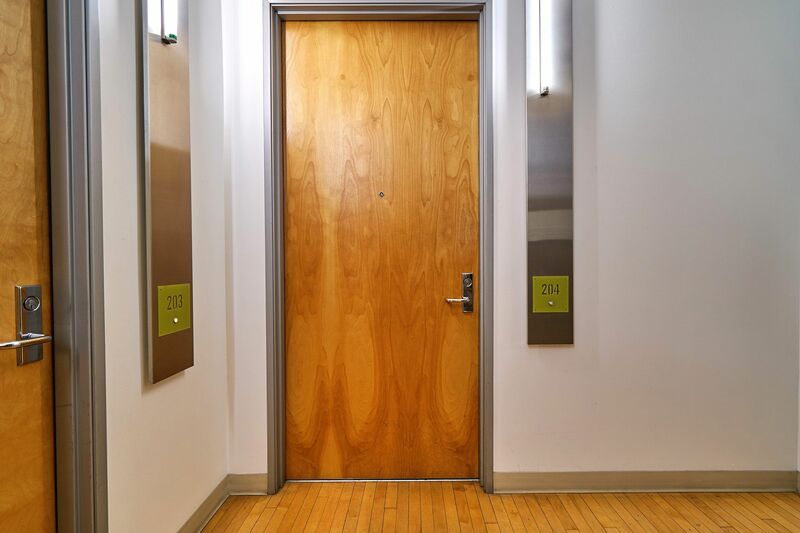 The original hardwood flooring combined with original terrazzo make an elegant statement. 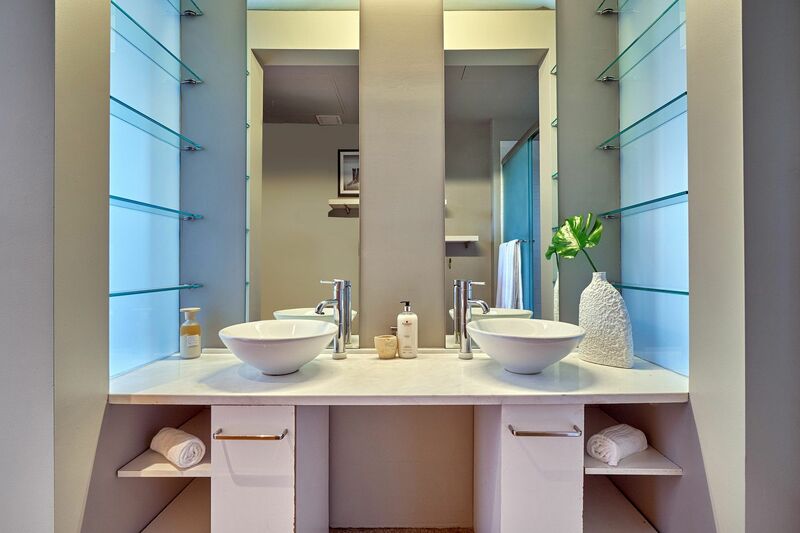 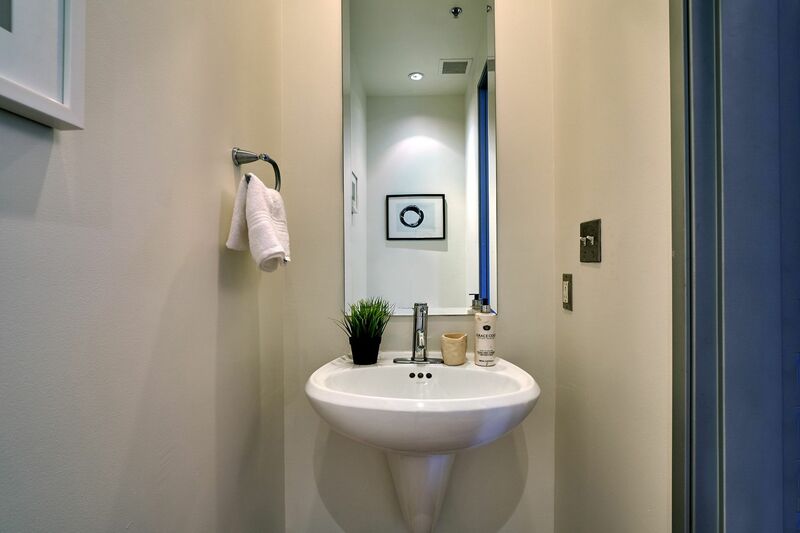 Custom cabinetry build-out and separated bedroom area makes for a simplistic, yet private space within the unit. 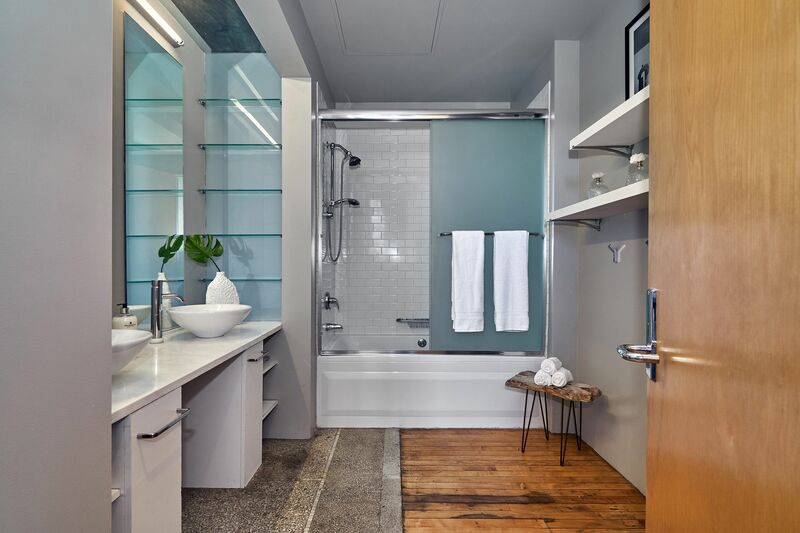 Large master bath with dual sinks and shower/tub combo. 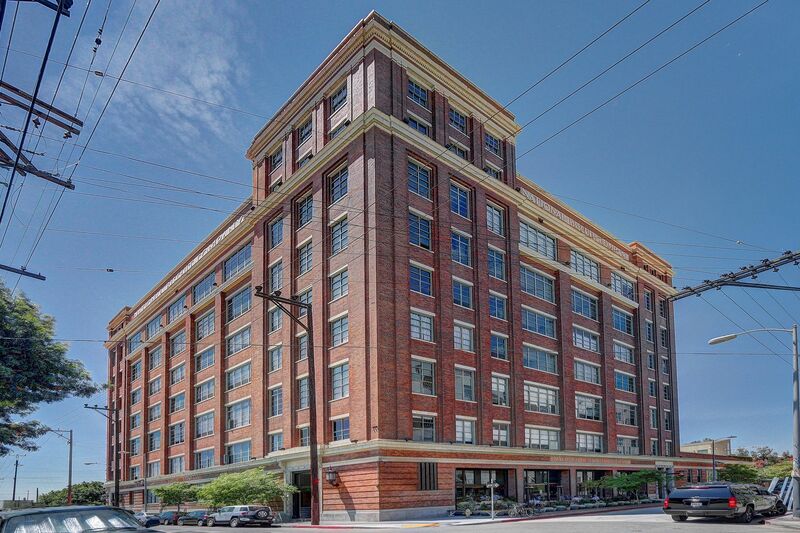 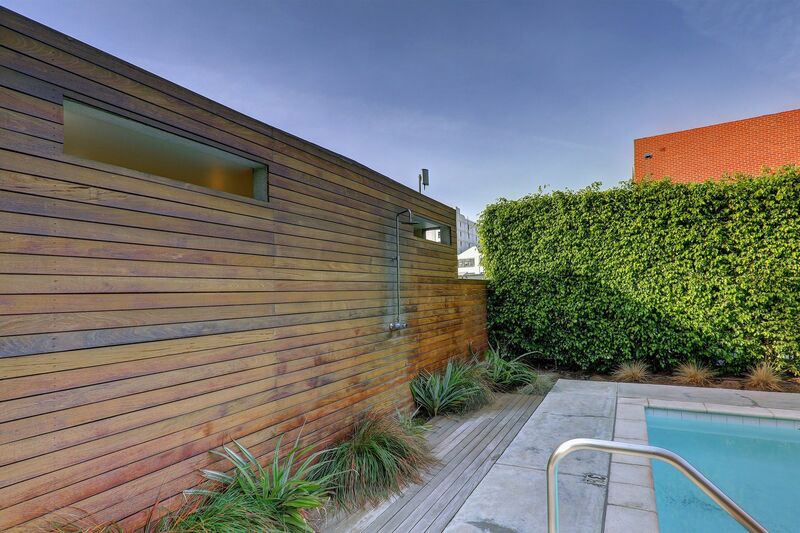 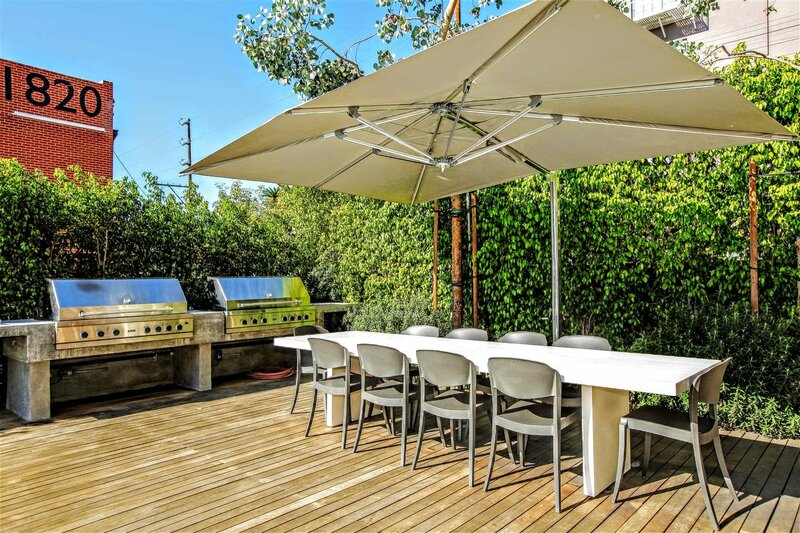 Solar shades, custom paint, and underground parking make this a special find, in an area bustling with excitement! 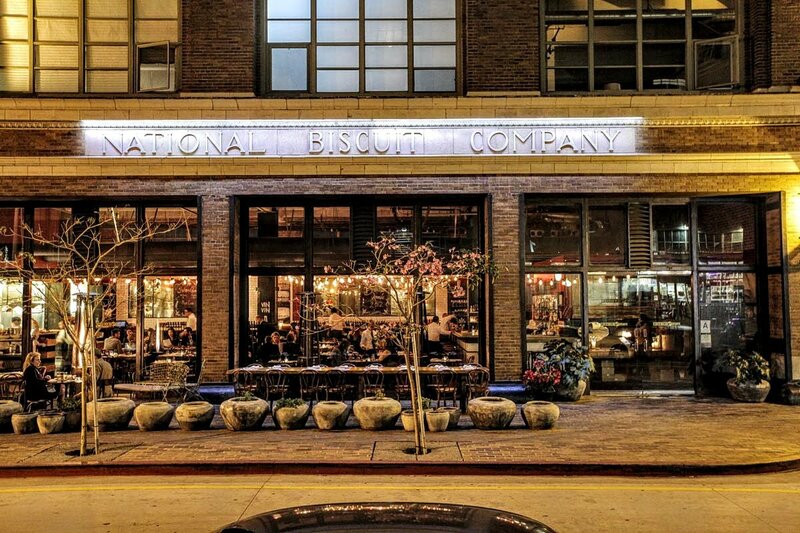 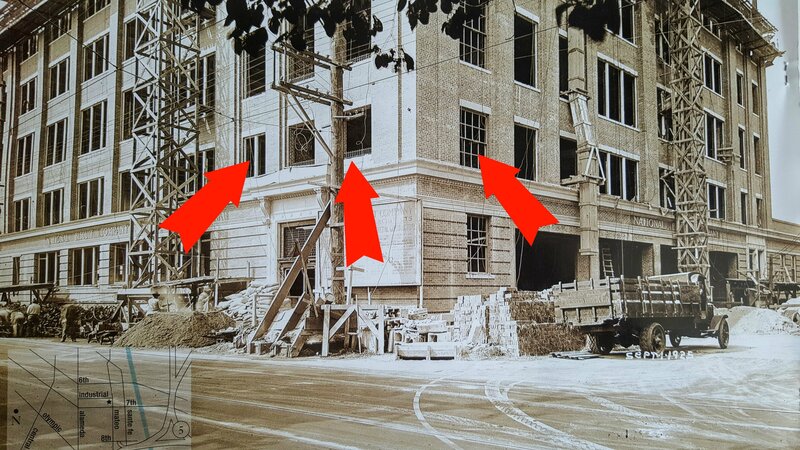 Within a stone's throw are Church & State, Little Bear, Bestia, Pour Haus, Zinc Cafe, Urban Radish and soon to be Soho House!